In this talk we focus on the results of a recent survey of the rock art on Tumamoc Hill, Tucson, Arizona. 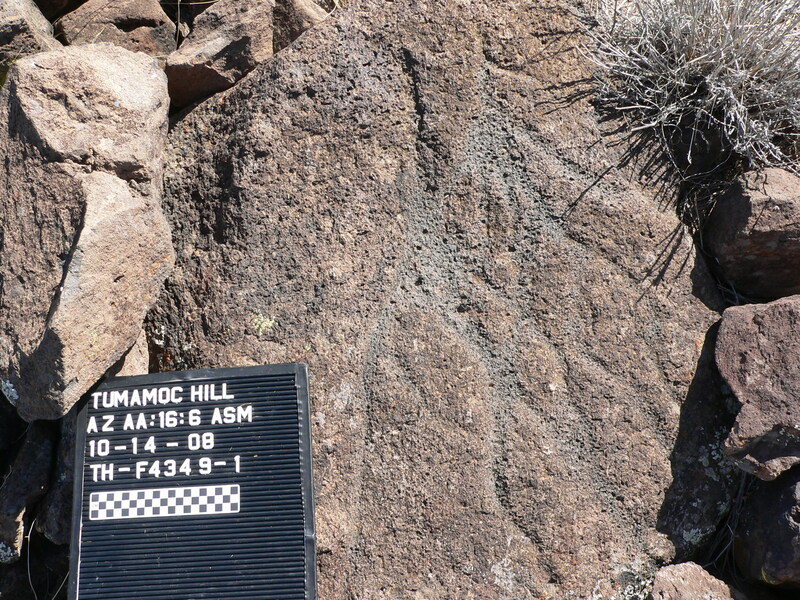 The survey, conducted under the auspices of the Arizona Archaeological and Historical Society and the Arizona State Museum, took place over three winter seasons from 2006 to 2009. The goal of this survey was to re-record all rock art on the hill that had been previously recorded, record rock art that had been overlooked by earlier recording efforts, and record all graffiti, thus providing a base line for future comparisons. We recorded 734 rock art elements (plus six of indeterminate age) compared to approximately 460 elements previously recorded. In addition, 450 graffiti elements were documented. We will discuss previous rock art recording projects on the hill and describe the universe of rock recorded during our survey. We will also discuss possible temporal and cultural affiliations of the prehistoric glyphs, elaborations among anthropomorphs, preferred locations, and the pervasiveness of graffiti including some with historical significance. One of our most interesting conclusions is the strong probability that a small number of the glyphs were created in the Western Archaic Tradition during the transition period between Archaic times and Hohokam times, most likely during the Cienega phase of the Early Agricultural period (ca. 800 B.C. to A.D. 150) and/or somewhat later during the Tortolita phase of the Hohokam Pioneer period (ca. A.D. 475 to 700). Finally, we summarize a few recommendations for future management.